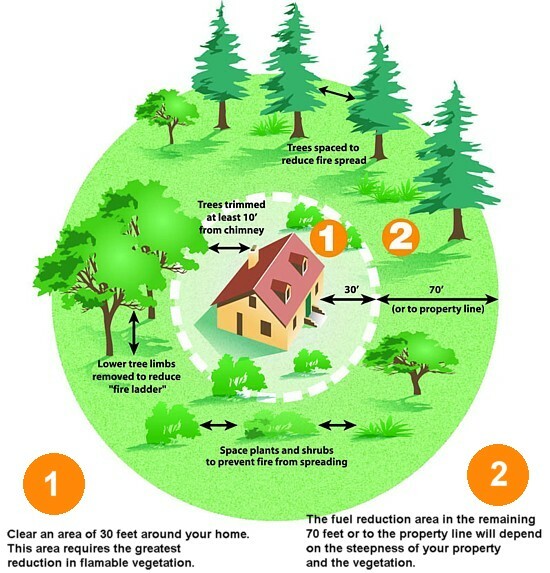 Do you have Defensible Space? Are lawns a good idea in Tahoe? 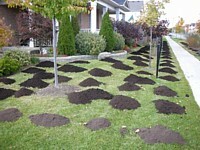 Can Voles hurt my landscaing? I've always heard that fall is for planting. Why is that so? Is salting driveways and walkways bad for nearby plants and some paving surfaces? Do I need to shut my pond down for the winter? How will my fish survive if I do? When is it too late to plant or do landscape construction in our area? Do I need to be concerned about watering my plants in the months before winter? Combined with reseeding and Spray Green fertilization the lawn will be renewed, more healthy and more dense promoting better root development and better able to choke out weeds. Aeration is the process of mechanically removing cores of turf to improve the flow of air, water and nutrients in dense, compacted soil. Soil compaction, caused by lawn traffic such as walking and moving, is one of the greatest causes of turf deterioration. When soil is compacted, dirt particles are forced together, reducing the area where roots can grow. 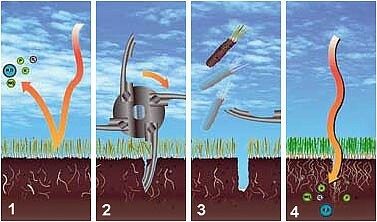 Aeration relieves soil compaction by improving the exchange of water and critical nutrients to grass roots. Adequate amounts of vital nutrients including water, oxygen, nitrates, phosphorus, and potassium are unable to reach the roots. Aerators relieve soil compaction by removing evenly-spaced cores of turf up to 3 inches in depth. Once the soil is aerated air exchange is improved and the soil can easily absorb water, fertilizer and other nutrients. Lawns offer many advantages in a high altitude arid environment. 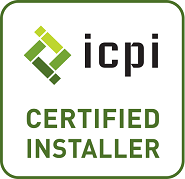 They add beauty and value, help cool your home in summer, add a natural fire break, control dust and if properly installed and maintained, use water in a highly efficient manner. How efficiently? Recent scientific studies have shown that lawns use less water than commonly used shrubs and trees! Call us today to get a quote on a lawn for your yard. In the fall, plant material goes dormant. When this happens, there is less risk of transplant shock for your plants, and less demanding watering requirements for you. While deicing agents such as salt and calcium chloride are effective at melting the snow and ice, they can also harm some plant material. It's best to keep the use of salt and calcium chloride products to a minimum, and to remove them from your driveways and walkways as soon as the surfaces are clear and dry. If you do use a deicer, spread the smallest amount necessary to begin breaking up the hardened chunks of ice, then get in there with your shovel and some elbow grease. Besides your plants, many driveway and walkway surfaces do not hold up well to excessive salting or deicing, especially those made from concrete. And don't forget that on softer paving surfaces, such as brick, concrete pavers and flagstone, you should stick with a plastic snow shovel. Metal shovels can chip and damage the material lying just below the ice and snow. 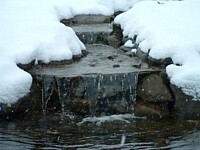 It may not be necessarily to shut down your pond for the winter. But, if you do decide to leave it running, keep an eye out for ice dams that can form on the waterfalls. These dams can cause leaks. Clear out leaves and debris as they build up in the pond, too. Since fish hibernate at the bottom of ponds for the winter, they should survive just fine. Just be sure the pond doesn't completely freeze down to the bottom. In the late, chilly part of fall, you can even stop feeding your fish, since they won't digest food properly in the cold water anyway. You can plant and landscape through much of the fall, up until the ground freezes.